Updates from the #63 Stream! The BloodFeast Weekend is live (at the point of this post). Came rushing back after work to update this post. So, as mentioned in the previous update.. the BloodFeast Weekend which gives out 3x Blood Points will be held this weekend..
Gotta love it when they put it in GMT timings.. makes it so much easier to convert into my own timezone. So, this will be the first of the monthly challenges. At the point of writing this post, we have actually accumulated over 14 Billion Blood Points in about 12 hours.. So yea, there's plenty of work to be done! Some things to note from the stream.. Kill your Friend mode does contribute to the challenge, though you weren't be able to use the Blood Points earned in this mode. The 500k Blood Point cap won't be changed so you will have to spend the points as you reach the cap. 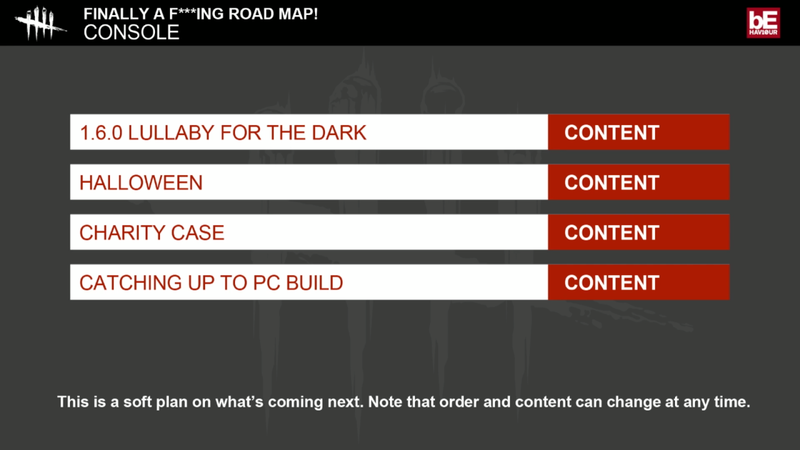 Also shown was the Console Road Map.. This is basically the order in which content will be released for Console. The Lullaby for the Dark DLC has just taken priority so which means.. we might actually see that as well as the Halloween DLC in August. Nice! This will be a very welcome change to the game. Instead of having to invite your friends again after each match, this update will keep the party in the same lobby after each match so you can get into games a lot faster. With reports of players disconnecting or leaving games, the developers will 'punish' them by making them lose their items. Lots of updates and content in the coming weeks but the most important thing now is the 3x Blood Point Weekend. Gonna get playing! Storm Collectibles announces 1/12 Shao Kahn! Storm Collectibles' 1/12 Noob Saibot Revealed!